Join Guardian ad Litem at the Riverside Arts Market! We need more volunteers to help children in Duval, Nassau and Clay counties! The GAL program will be on site at RAM on September 9, 16 and 30 to answer questions about being a child advocate and help recruit for these critical positions. Please tell all of your friends and family! 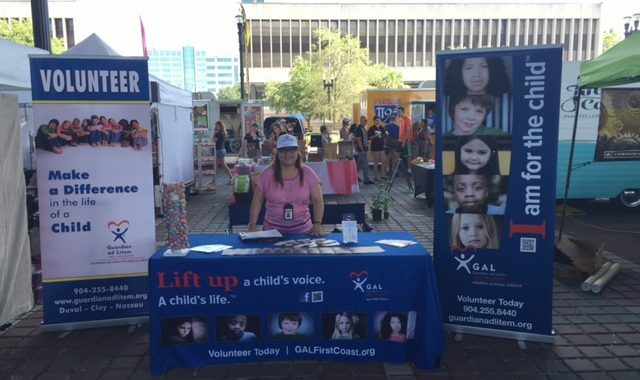 Current GAL volunteers that wish to share their story of help, hope and becoming a superhero to kids, can sign up for our Guardian ad Litem booth at http://signup.com/go/kspuTFp or via social media @SignUpdotcom. We look forward to seeing you at the Riverside Arts Market!